Chronic skin complaints such as psoriasis or eczema (formally known as atopic dermatitis) may occur due to genetic, environmental or lifestyle influences, or a combination of the three. Psoriasis may also afflict individuals taking certain prescription medications (including beta blockers, NSAIDS and lithium), or those with severely weakened immune systems—such as HIV sufferers. Prevalence of psoriasis varies widely between countries, and is estimated at around 2-4% in Western countries. Lifestyle influences on occurrence and severity of common skin conditions include obesity, smoking, stress, general ill-health, poor diet, and alcohol consumption. Environmental causes include changes in season or climate, particularly those involving dramatic changes in humidity. For eczema, it is postulated that overly sterile human environments may contribute to development of allergies in children; as well as this, it is suggested that dust mite allergy is strongly associated with the condition. Eczema is estimated to affect around 10% of all humans, to varying degrees of severity; in some areas, lifetime prevalence is thought to be as high as one-third of the population, and appears to be rising over time. There are several forms of dermatitis, with the two most common forms being atopic or chronic dermatitis (eczema) and contact or acute dermatitis (which is caused by direct contact with an allergen or irritant, and is often mistaken for eczema). The symptoms generally range from red skin and bumpy rashes to severe blistering and lesions in severe cases. Blisters and lesions may weep or ooze and may ultimately lead to unsightly scarring. Dry, itchy skin is the most common symptom; areas most commonly affected include the cubital and popliteal fossa (the inner fold of the elbow and knee, respectively), the wrists, hands and face. Eczema can be extremely debilitating, but is not fatal; however, resultant infections gaining a foothold through broken skin have occasionally been known to cause fatalities. Infection by staphylococcal or streptococcal bacteria is very common in eczema; rarely, this can lead to widespread infection and septicaemia. As well as this, the herpes simplex virus can infect eczema-damaged skin and cause an extreme condition known as eczema herpeticum, which can in turn lead to systemic bacterial ‘superinfection’ and even death. Psoriasis also comes in various forms. The most common form is known as psoriasis vulgaris or plaque psoriasis. The ‘plaques’ this terminology refers to are raised, inflamed (often roughly circular) patches of skin covered with a silvery, scaly, plaque-like substance. These plaques usually appear on the elbows, knees, scalp, and back. Psoriasis vulgaris affects up to 90% of psoriasis sufferers; other forms include pustular psoriasis, which causes raised, pus-filled bumps or pustules accompanied by severe itching and tenderness. Pustules usually appear on the hands and feet, or randomly across the body. A rare, potentially-fatal form of the condition is known as erythrodermic psoriasis; this debilitating disease can lead to inflammation and exfoliation of the majority of the sufferer’s skin. The severity of the inflammation and skin loss can be such that normal temperature regulation and barrier function control is irreparably disrupted and death can result. Both eczema and psoriasis involve an atypical immune response. Psoriasis is considered to be autoimmune in nature, as it does not occur due to any external allergen but due to a malfunction of the immune system that causes it to attack formerly healthy tissue. Eczema is a generalised response to the presence of external allergens, and is not an autoimmune disease—although it is often present in individuals suffering from other autoimmune diseases, and certain other forms of dermatitis have an autoimmune component. Specifically, eczema and psoriasis are conditions that are caused by atypical inflammatory response. The inflammatory response is a fundamental part of the immune system: upon initial exposure to a pathogen (or perceived pathogen in the case of an autoimmune disease such as psoriasis), increased levels of blood plasma and white blood cells (particularly granulocytes) are then brought via the bloodstream to the affected tissues. These fluids then accumulate, causing the characteristic swelling; the increase in blood flow in the affected area causes reddening and the sensation of heat, and itching and pain occur due to release of compounds that stimulate the nerve endings. Application of several different oils and emollients, such as petroleum jelly, beeswax, almond oil, olive oil, and various synthetic preparations, have been shown to reduce symptoms of psoriasis and dermatitis. As these conditions are characterised by overly dry skin, products which can moisturise the skin while avoiding further irritation are fundamental to their treatment. In eczema and psoriasis, dry skin occurs due to excessive transepidermal water loss, as persistent inflammation compromises the skin’s ability to act as a barrier and regulate diffusion and evaporation. Beyond directly providing moisture, compounds contained within some of these products may be the key to controlling the imbalance that underlies the condition; with hemp seed oil and several other natural oils, high concentration of polyunsaturated fatty acids (PUFAs) is believed to reduce itching and inflammation better than moisturisers that are low in PUFAs. Linoleic acid in particular is thought to be of interest, although other PUFAs are also being investigated. As our understanding of the mechanisms underlying chronic inflammation grows, we are finding that diseases that affect the skin (one of the primary anatomical barriers involved in the immune response), such as eczema and psoriasis, are closely linked to another major barrier, the gastrointestinal tract. Thus, it may be that underlying problems with dietary PUFA absorption or utilisation in the GI tract also play a part in the development of chronic skin conditions. It has been observed that fatty acid profiles of hemp seed oil vary according to cultivar, with linoleic acid making up 50-70% and linolenic acid (both α- and γ-) making up 15-25% of total volume; γ-linolenic acid content may be as much as 2.46% or as little as 0.80%. As we gain more insight into the complexities of PUFA levels and dermal health, different cultivars may be of use in different conditions, or specific cultivars may even be bred for the purpose. It has been relatively well established that eczema and psoriasis respond well to PUFA-rich treatments; however, PUFAs are extremely widespread and can be obtained from multiple sources (although hemp seed oil is an abundant source, with a generally favourable ratio). Cannabinoids, on the other hand, are almost exclusively found in cannabis, and they too have been demonstrated to have significant effect on chronic skin conditions. Cannabinoids are well-known to have a role to play in regulating inflammation, and it appears that this may be the key to their ability to treat eczema and psoriasis. It is well-documented that the gastrointestinal tract (which, like the skin, is one of the primary physical barriers of the immune system) has abundant cannabinoid receptor sites. Now, recent research has indicated that the skin also has an endocannabinoid system of its own, which helps to regulate the production of various hormones and proteins (including cytokine, which is also involved in immune response), as well as various cellular process including proliferation, differentiation, and apoptosis (cell death). Thus, imbalance of this system may also be responsible for the occurrence of chronic skin conditions such as psoriasis and eczema, and developing targeted cannabinoid therapies may help to control them. A study published in 2007 demonstrated that THC, CBD, CBN, CBG and anandamide all demonstrated some level of effectiveness in inhibiting keratinocyte production in the epidermis; as over-production of keratinocytes is involved in psoriasis, these results support further investigation into cannabinoid therapies to treat it. Cannabinoid receptors have been found in even the smallest nerve fibres controlling hair follicles; keratinocytes have also been shown to bind and metabolise anandamide, the most prolific endocannabinoid. Please join our free membership. Thank you for visiting… please tell your family & friends. 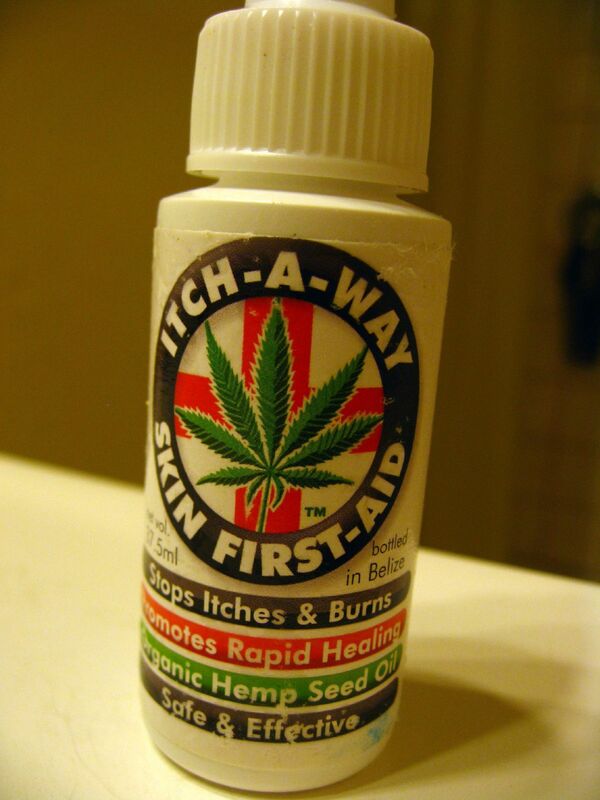 searching and wound up here Cannabis can alleviate psoriasis or eczema | 420 InSight. Could it be simply me or does it appear like some of the responses look like they are written by brain dead individuals?